The other day I was going through our little library at home and came across a book which I loved reading a couple of years ago. Elisabeth Knox’s “The Vintners Luck” published in 1998. The novel is set around a vintner, his family life and his vineyard. Imagine Burgundy in 1808, the bulk of the Napoleonic years still to come when a young vintner meets for the first time an angel in his father’s vineyard. The angel accompanies Sobran Jodeau, the Burgundian vintner, all his life until he dies in 1863. Every vintage has a special name. For instance in 1808 Sobran meets the angel for the first time and the vinatge is called “vin bourru”, meaning “new wine” and the year before he passes away (1862) is called “vin de dieux”, wine of gods or sweet botrytised wine, whereas the last year is titled “vinifie” which is “made into wine”. And thats the end of a long, exiting, complicated, at time treacherous, but overall joyful life full of various vintages, some with disastrous consequences, others producing the best Burgundian wine ever. I will not tell you more, you need to find out yourself. What I like in this book that all comes to an end, as in real life but at the same time everything is like in a dream and the border of reality and dreamland is sometimes overlapping with exhilarating results. I do not know what it is with these three letter words for restaurants, but another one of my favourite eating places in Kuala Lumpur is “Top Hat”, located in Jalan Kia Peng, the centre of town (www.top-hat-restaurants.com). 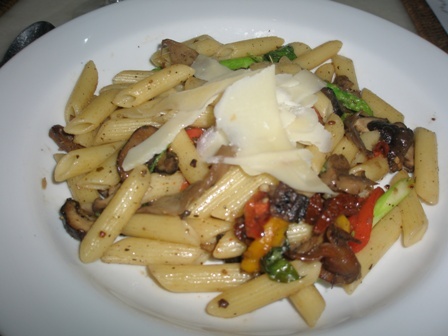 The had a vegetarian pasta. 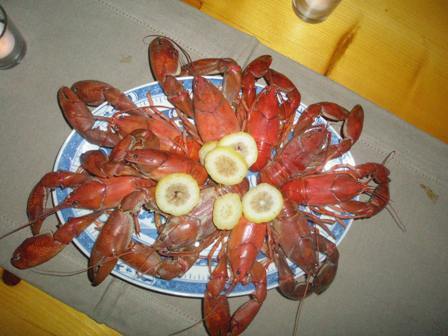 Right, it is not true Western fusion or any Asian cousine, but I felt like having one. 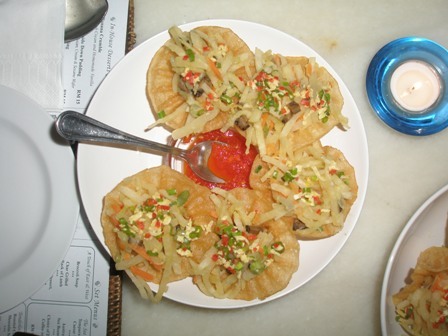 The food at Top Hat is excellent and shows great variety blending different local and foreign traditions. The desserts are to die for. The service is good as well. I can only highly recommend the place. 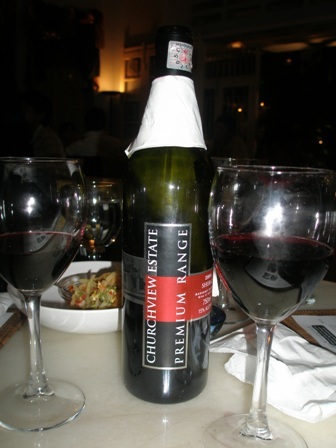 The wine was a “simple red” from Churchview Estate (www.churchview.com.au) from Margaret River, in Western Australia. Their ‘2004 Cabernet Sauvignon’ won the trophy for best CabSav in Australia at the Cowra Wine show. I choose the ‘2004 Shiraz Premium Range’, a very deep red wine with intense dark fruit, plums and cherry aromas. The Shiraz was spicy and fresh which went very well with my pasta and some of the Asian dishes my friends had. It’s a big wine (15% alc.) with a good structure and a memorable finish. 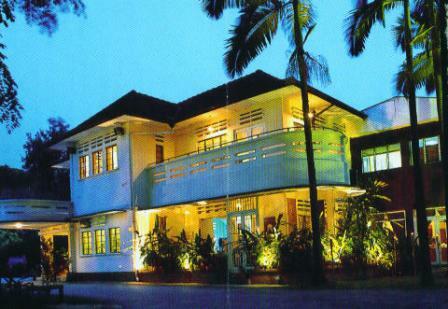 If you intend to entertain friends or just yourself at Kuala Lumpur any time soon, pay a visit to this very memorable place. 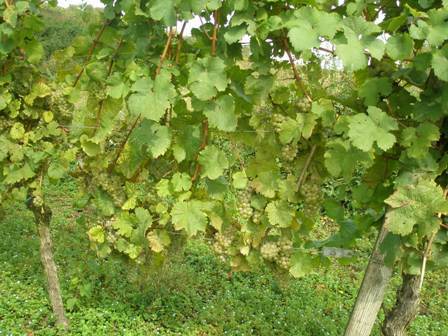 Since a long time I wanted to show you again some more pictures from our vineyard. 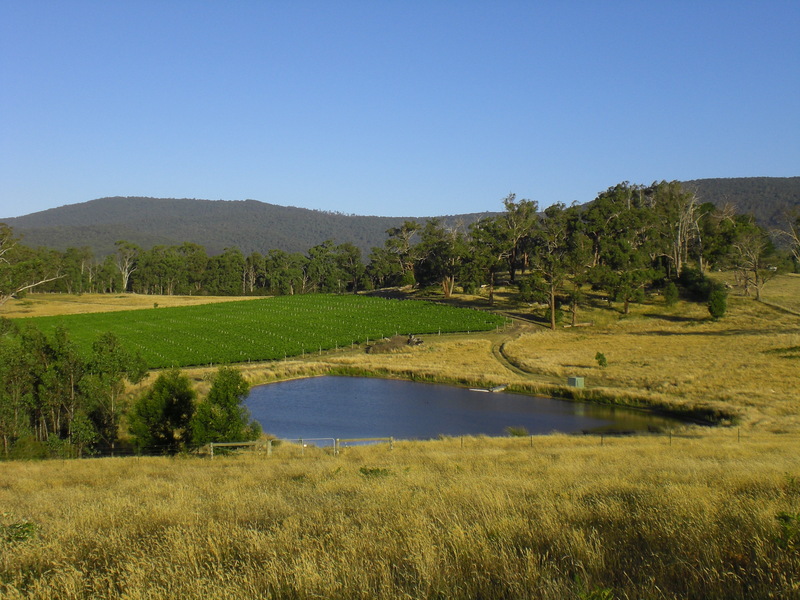 Two Hills Vineyard in Glenburn, Victoria, is such a marvelous place. Maybe I am getting homesick. Normally we visit in July/August but this year we are planning to go to Germany, Spain and Portugal. Normally we go out for lunch at Mother’s day. But on Sunday we stayed home. Margit cooked a beautiful meal. 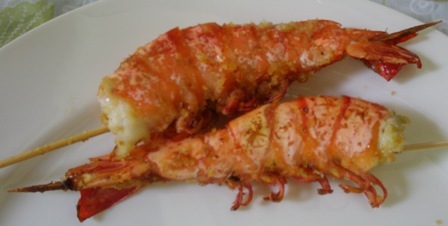 We had prawns and a risotto “arrabiata”, nice and spicy and a fresh green salad. It was a beautiful tropical day, the beginning of the dry season in Jakarta. Our garden is lush and green, some of my orchids are still in bloom. In short it was wonderful at home, not disturbed by anybody. Well and what did we drink with the food? I raided my little wine cellar and dug our one of my last bottles of Mosel Riesling. This time a wine from Staatliche Weinbaudomäne Trier, a ‘2005 Avelsbacher Hammerstein Riesling Kabinett’. It was, I would say, a semi-dry Riesling, maybe a bit on the sweet side. 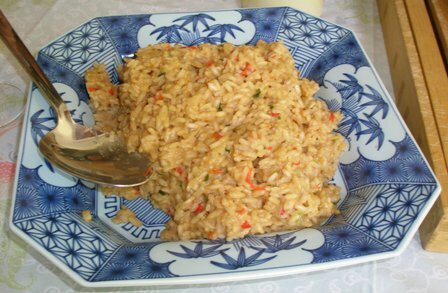 Anyway, it was too sweet for me, but matched the spicy risotto perfectly. The wine has only 8.5 % alcohol; it is fruity, spicy and aromatic, with a good body, structure and length. 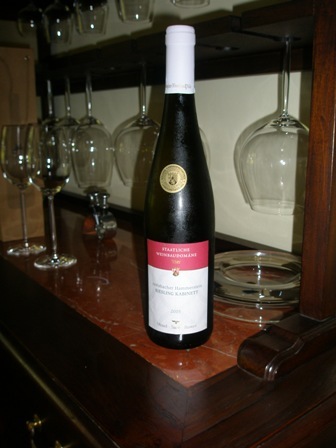 It was awarded a gold medal by the state of Rheinland-Pfalz’ wine show. The Staatliche Weinbaudomäne (it means ‘estate’ or ‘domain’) is owned by the state of Rheinland-Pfalz. 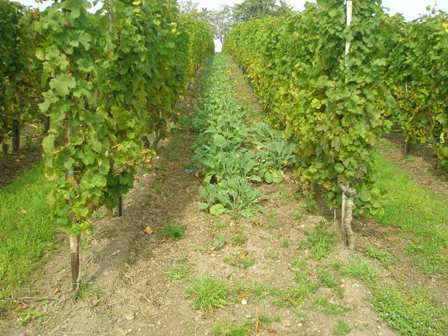 Today, it cultivates about 31 ha of vines at various locations near Trier along the Avelsbach stream, a brook of 4.6 km length which flows into the Mosel river. 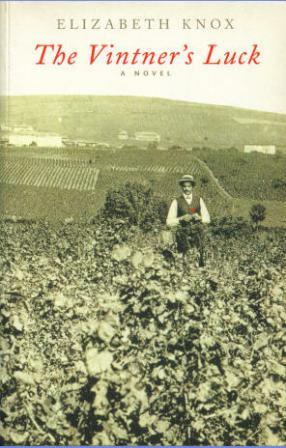 In 1996 the estate celebrated its 100 anniversary. 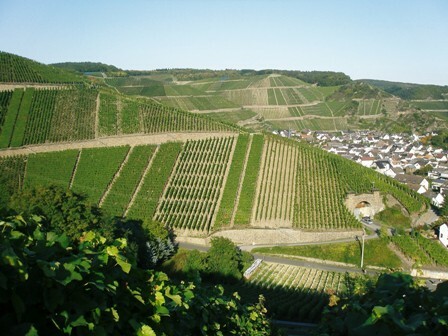 It was founded in 1896 by the then Prussian State government and covered about 200 ha under vines consisting of three separate estates, Avelsbach, Ockfen and Serrig, two of which were located at the Saar, another tributary of the Mosel. The Avelsbach is divided into five ‘terroirs’ (locations), Altenberg, Herrenberg, Kupp, Hammerstein and Rotlay (the last of which is not in production any more). Interesting is that this wine must appeal to Japanese consumers because of the dozen wine sites a search leads you to, at least 50% were in Japanese characters. Last night we went to dinner with our dear old friends Liz and Walter. After nibblies (as we say in Australia) at their home we proceeded to Cork and Screw, the very hip and extremely trendy restaurant in Jakarta. The food was excellent as always. We had an Australian Shiraz with the meals and moved on to dessert. Three of us had crème brûlé; Liz had some kind of chocolate dessert. There were only three wines to choose from, two “half bottles” and a Riesling Spätlese and can you imagine from where? The Mosel!. And what was it? I could not believe my eyes, a ‘2006 Dr. Loosen Wehlener Sonnenuhr Riesling Spätlese’ for only about 33 €. We needed to have this wine. What a bargain. 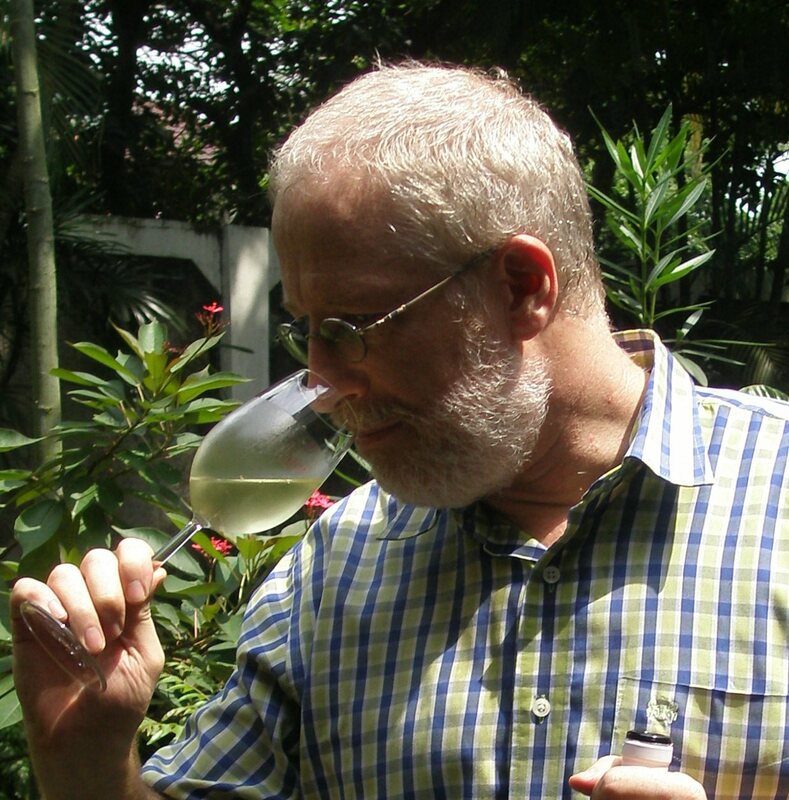 Usually one cannot get any Mosel wine here in Jakarta. I could have kissed the people from Cork and Screw and Vin +, the wine shop associated to the restaurant. 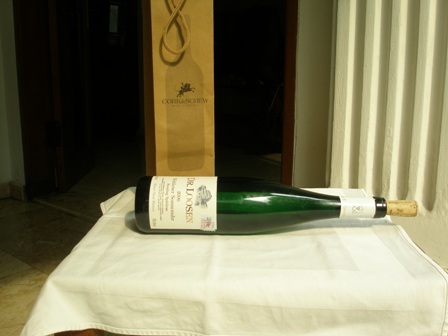 I must admit that though I come from the Mosel, I have never had a bottle of Dr. Loosen’s wine (www.drloosen.com). He is such a famous vintner, sitting on all kinds of wine juries, all over the world. It had to come to that. I tasted his wine in Jakarta, a couple of thousand miles from home. The major German Riesling portal (www.riesling.de) lists him as the top vintner of their top 10 wineries. 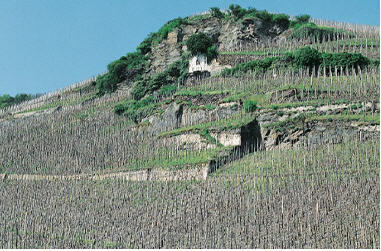 “Wehlener Sonnenuhr” is one of the prime terroirs (about 65 ha) on the Mosel, all on steep slopes. A sundial is to be found right among the vines and that gave the location its name. The wine has only 8% alcohol and was the perfect match with our dessert. Of course we drank it too young, but we had no choice, waiting was just not feasible. The wine displays and expressive nose, shows apple, lemon, almonds and nuts. The acids were well balanced and the full sweetness gives it a round and lingering finish. We all loved the wine. When the waiter wanted to clear the table I told him my story: that I was from Trier, Mosel , not far away from where this wine came from and that I wanted to take the empty bottle home. “Tidak apa apa”, the kind man said, meaning “no worries” in Australian, and he gave me a Cork and Screw bag to carry the bottle. How wonderful. If you happen to be in Jakarta one of these days, have a meal there; it’s certainly worth it: great place, great service, great food, great wines. While traveling in Germany last year, I took quite a few photos of vineyards and the way vines were grown there. While visiting the Ahr, Rhine, Mosel and Saar I notices that row spacing and trellising could showed a wide variety of different spaces and systems. This slope on the Ahr shows “planting with the slope” and planting “parallel to the slope”, and also the width between rows shows variations. Here (photo above from the Ahr) sticks have been put between the individual vines in order to make it easier to move in the vineyards and to prevent stones and earth to be washed down the rows. Every vine has its own individual post and no wires are required. One finds this system also along the Mosel and the Saar. 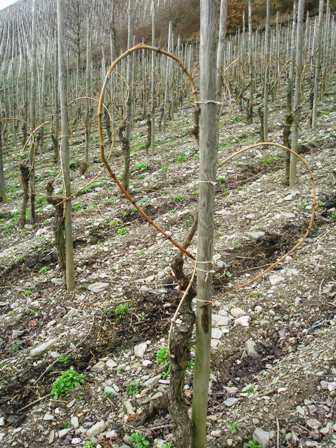 After pruning, two canes are bound to the post on the individual post system. I wonder if spur pruning can be applied to it too? Usually movable fruit wires, as we have them in Australia (VSP = vertical shoot positioning), are not a feature of these trellis systems. This is not surprising. 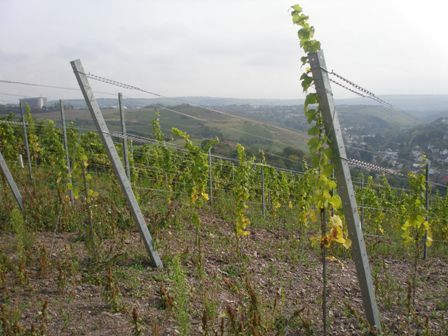 On the steep slopes of the Mosel, Ahr and Rhine rivers moving fruit wires would be suicidal. In my own vineyard in Glenburn, we use a simple VSP-trellis system. The move of the fruit wires is usually not a difficult job, especially along the gentle slopes as we have them. However, when the rows are long, the wire gets heavier and heavier the longer the day lasts. In some of the locations, even if they are steep, caterpillar tractors are used to work the land. 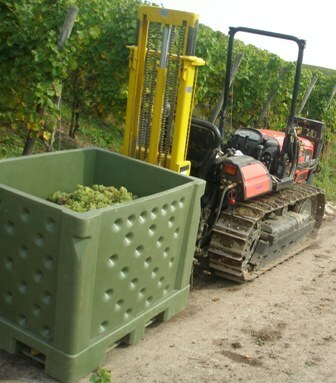 These tractors are small but still need narrow rows between the vines in order to operate. Below, two rows have been planted close to each other (and no vehicle can work between them), but the next rows a planted at a wider distance so that the caterpillar tractor can be used. In my blog entry titled “Along the Mosel River”, of September 12th, 2007 I showed some of the elevators used on steep slopes to carry material up and down the vineyard. 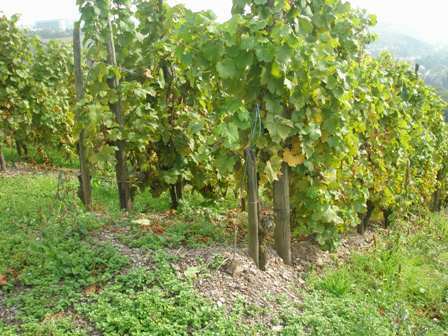 Have a look and check it out; it’s an interesting system, one can observe on many steep vineyard slopes on the Mosel. 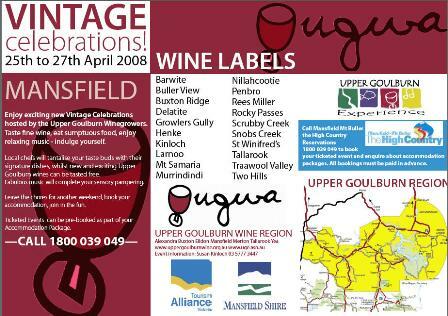 I missed this year’s vintage celebration of our wine growers association – the Upper Goulburn Wine Region (www.uppergoulburnwine.org). The last weekend of April saw wine ethusiasts, vintners, and other local folks descend on the picturesque rural town of mansfield at the foot of Mount Buller where soon the ski and other winter tourists are going to converge for joyful days in the snow. For the time being it’s still autumn, all grapes have been harvested and the juices of young wines are working hard to become as excellent a wine as in this part of the world we are able to produce. Thanks to our clean natural sorroundings, the hills and northerly slopes, the terroir and our cool climate, the Upper Goulburn Wine region produces outstanding wines. This year the vintage celebration weekend (25-27th April) consisted of three major events. 1. Cocktails on the Deck on High – an evening reception at this new venue – normally offering Thai cuisine as well as tapas, with a stylish piano bar and an “oriental room” (whatever that means) – in the High Country with cocktail canapes and the best of Upper Goulburn wines matching these delicious finger foods. The guests were entertained by a string duo from Melbourne named “Take Two”. 2. A Day on High – starting at 11 am until 5 pm and covering the main street of mansfield where regional food, wines and other produce are displayed and cwhere all kinds of culinary delights can be tasted. You just purchase a glass for A$ 5 and off you go to taste the new releases of the regions superior wines. This time the entertainment consisted of “Derek Guille and his Ugly Uncles”, a performance band in blues, folk and jazz (more than the usual country stuff of Country and Western). 3. 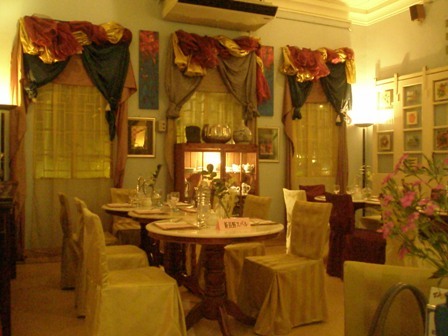 Long Lunch – the lunch took place in the gardens at Highton Manor , a restaurant in a 1896 historic country house right in town. The lunch does not come cheap but with Mount Buller as a backdrop, the selected four course meal prepared by local chefs and served with the best wines from our region, was a true delight. The 2008 vintage has been very erratic in Australia. In many places, South Australia for instance, it started very early (one month earlier than normal) with many varieties ripening in unpredictable and abnormal order. 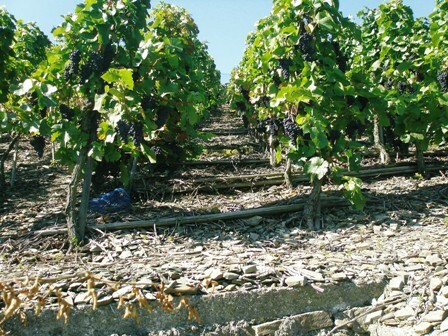 Various heat waves partially destroyed the crops, gain an example from South Australia where about 100.000 tonnes of grapes were left on the vines. Wineries had to cope with a mass arrival of fruit concentrated in a very short time band. 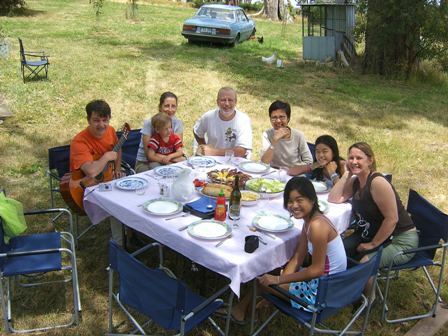 But in other regions, Gisborn or McLaren Vale for instance, 2008 produced a great vintage. I have not heard too much from neighbours and other members of our association. We at Two Hills Vineyard had a good year. We did not overcrop, kept yields low for a maximum of flavour and intensity. Our fruit enjoyed great demand. Finally word has spread around that our fruit is of excellent quality and as a consequence we have more interested buyers than we can satisfy. A small portion of our Merlot fruit will be made into wine, as always at Yering Farm, by Alan Johns and we are looking forward to another excellent Two Hills Merlot wine. You are currently browsing the The Man from Mosel River blog archives for May, 2008.